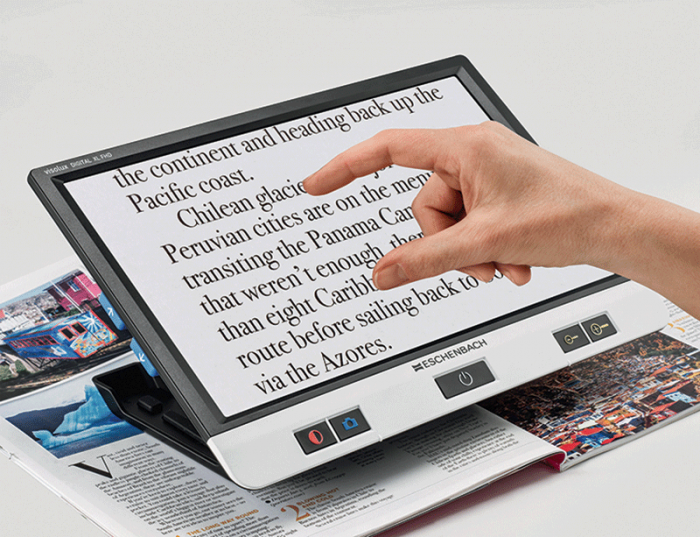 The device’s unique Dynamic Line Scrolling (DLS) feature allows the user to scroll both horizontally and vertically when on the higher magnification levels without having to move the device. 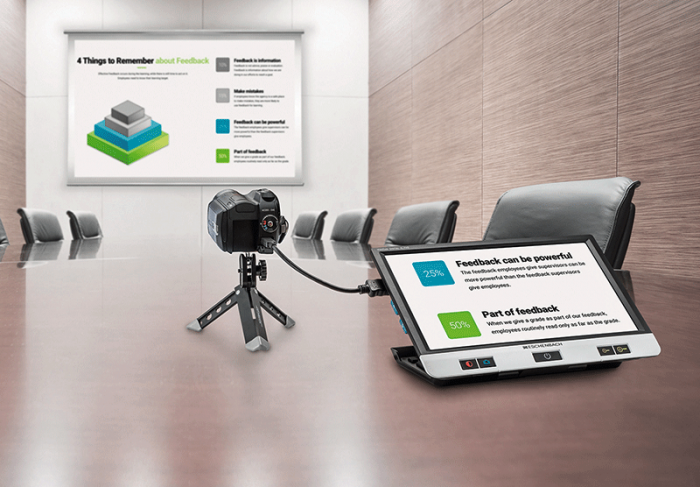 Its FHD camera actually sees more than what’s shown on the screen, making reading a book or magazine easier than ever! 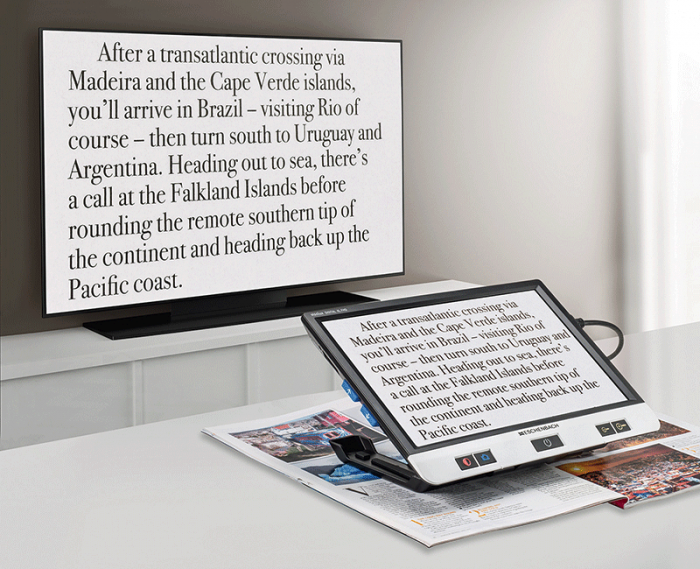 The Visolux Digital XL FHD’s HDMI and USB ports allow the user the option to transmit images directly to their computer and live stream to a television screen. And its HDMI-in option allows users the ability to connect a video camera so the image from the camera appears on the screen. 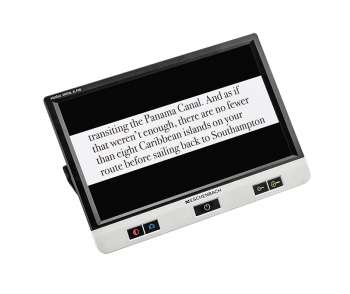 Its unmatched connectivity options and superior image quality make this the ultimate low vision device! Battery operation time: 2.5 hrs. / Charge time: 4.5hrs.